I'm picking up a long-backburnered project of mine which involves reviewing and formatting all of the TSS text. I've only looked at Caldor Isle and the Katarina Zone so far, but I wanted to share a few tidbits. I think probably a flag setting got messed up and this was supposed to be the first thing he says after the party tries to sell the Diamond to the item shop, but only the lines after these (which say nearly the same thing) show up. You can't get to Caldor Isle while the Mirror is in your possession, so this text will never be displayed. Other shops have comparable dialogue, though, so it's not a huge loss. Selling any event item anywhere gets some sort of snarky comeback, as you probably already knew. Sometimes it's short and/or repetitive, other times...not. "OH MY! THESE ARE WONDERFUL! AND FLAP THEM TO DEATH!..NO? END TO SLASH THEM! NO? ALONE! I CAN'T AFFORD IT." HER! YOU NEED THIS SHIELD!" I'VE NOT SEEN IN YEARS! BE NO CHANCE OF SAVING LUNA! IS THAT WHAT YOU WANT? HMM?" WHEN YOU CAN'T SAVE HER!" "DON'T SELL THE HERO'S CREST! LINE MY CAGE WITH IT!" I really don't know what to make of that last one. What else...well, as I mentioned in another thread, only one Vane NPC seems to be aware of Nash's crush on Mia. The same NPC is also the only one who suggests Nash's magical talents may only be modest, and that's only relative to Mia, so I think in this game Nash is actually supposed to be as good of a student as he claims, unlike in SSSC. It's kind of nice to see someone actually rooting for him for once. Of course, his moral character is rather stronger in this game, if less nuanced. HAS NASH ASKED YOU OUT YET?" YOU KNOW WHAT I MEAN..."
"DID I ASK FOR YOUR OPINION? I'LL GIVE IT TO YOU!" A WAD OF CASH TO FLASH. I bet approximately no one saw that in-game. As far as I can tell, it's what Brett tells you the second time you talk to him if you don't have enough cash to play blackjack with him in the sewers, which probably won't be the case considering that you'll likely be getting into battles on your way to find him. I think Alex's father's dialogue changes more often, but I'd be surprised if anyone else's does. Ok that's it, I want a fanfic centered solely around the logger's wife. We need a name for her. Huh? I thought I replied to this. Anyway, what I said is that Fulari is clearly the girl who ends up working in Ramus's shop, but we could call the logger's wife Kakar. 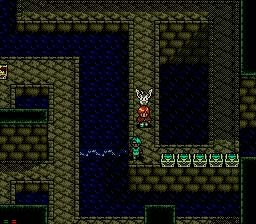 Next bit of weirdness, not text related: This save I'm using is one that I also used to level Luna up to 52, so even though I had Alex running from these battles, he still ended up at level 23 before I ever got to Meribia. So I was wondering what would happen when his magic was unlocked, since normally he'd have 5 spells already by then. And the answer is: nothing, really; he only got Flame, as always. So I levelled him up, thinking maybe he'd get several spells then. Nope. He only got Power Litany, which is the second spell you get, and I think you always get it the first level you gain after getting magic. So now I'm like 4 spells behind (Little Litany, Flamer, Blazing Fire, Calm Litany, normally learned at levels 12, 14, 20, and 24 respectively). I wonder if he'll just get one spell per level for like the next five levels. Of course, since he's overlevelled, it's going to take that much longer to get them. I haven't written down what level I'm usually at at this point, but I usually have to do a little tiny bit of grinding before/during the Cave of Trial to get Flamer before fighting the Bronze Dogs, which otherwise tend to wipe you out if you only have Flamer, since they take two of that apiece = 8 rounds. So I think I'm usually about level 10-11 when getting to Meribia (I usually play enough on Caldor to get Luna to level 10 for her last spell, just for completeness). That's not the only bit of weirdness I've seen. Some chests are already open before I get to them, which isn't usually the case, like these ones near Brett. You can see I still have Ramus in the party and can't even get to them yet. There was also an open chest in the room Dross is in (after the Water Dragon battle). I'll have to dig out my guide to see what's normally in these chests. Alunissage wrote: Huh? I thought I replied to this. Anyway, what I said is that Fulari is clearly the girl who ends up working in Ramus's shop, but we could call the logger's wife Kakar. Just to follow up on my previous post, Alex did in fact gain one spell per level until he was caught up. Found this while idly levelling up Ramus a bit, which you can do even after defeating the Water Dragon and talking to Dross. I continue to find empty chests, namely one or two in the Cave of Trial and the one in the Library. Figuring out at what point that happens is probably going to be a pain. Mel's text after you get money from Dross is slightly different depending on whether you talked to him after Dross stole the diamond, incidentally. I also feel like maybe talking to him was supposed to be a trigger to get Nash to invite you to study magic in Vane; if I ever play that far in the Japanese game I'll have to see if it acts any different. Each one of these is different dialogue from previous. ETA: forgot to note that three other NPCs have different dialogue when Jessica is in the party: the drunk just outside the mayor's house (prompting Jessica's rhetorical question, "Why is it that every RPG has to have at least one worthless drunk? "), the gross-minded kid at the bottom of the nearby stairs, and the kid in the eastmost house on the lowest level. I was mostly bemused by the micro-differences in the dialogue in the mayor's house.